A lot of locksmiths will charge you an arm and a leg, especially if you are locked out. They tell you one price on the phone, but when they get there the game changes, and suddenly you’re paying more than you signed up for. That’s not how we do it at locksmith Malibu. We don’t take advantage of people in a jam – we name one fair price and stick to it. Period. 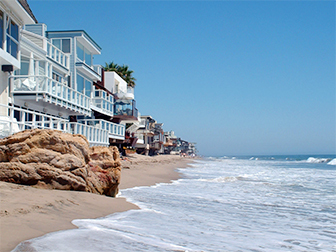 Call or email Guardian Angel Locksmith in Malibu today and we’ll get right to work! Getting locked out shouldn’t ruin your whole day. Keep your plans – we’ll get you inside so you can get back to the things you need to do. When you need a new lock, we help you choose the right one for the job, and get you the best protection for your budget. We install new locks, repair broken ones, all with timely service and a smile. We grew up in the lock business, so we know how thieves try to get in, and the best ways to keep them out. Locksmith Malibu has a wide range of commercial locksmith and security services for industrial, commercial, small business, large corporate organization offices, retail stores and shops. Our commercial locksmiths are highly trained professional to work on any high traffic locks, panic bars, emergency exit door devices and fire escape devices. We install and repair hydraulic and concealed door closers on gates and front building doors, electric strike replacements and repair, complete service and combination change for commercial use safes. Professional training combined with the use of locksmith specialist tools and equipment ensures that our commercial locksmith works professionally and efficiently, keeping high customer service and affordable prices, all work carried out is guaranteed, both on parts and labor. Using the latest techniques our commercial locksmiths in Malibu are able to open 99% of all locks and safes with little or no damage caused whatsoever.